A great vintage, midcentury copy of Betty Crocker's "Family Dinner's in a Hurry" cookbook copyright 1970. It's the fifth printing, in 1973. Inside of the book is like new, pages clean and crisp. Extremely wear to outside corners -just look in the picture. It's a super fun, kitschy book that's a treasure for any MCM lover. Honestly doesn't look used! 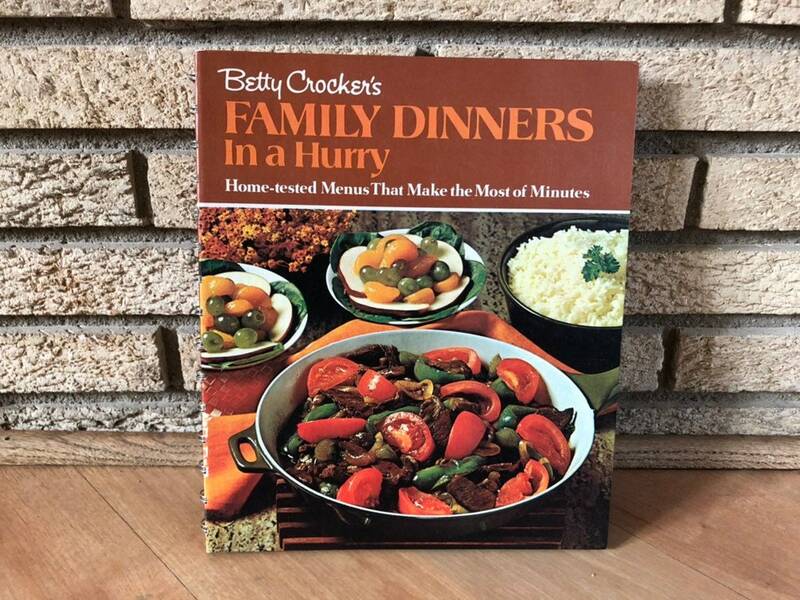 It is full of classic recipes and great 1970s graphics and images. It's approximately 10 1/4" H x 9" W.